LOVE training here. The amount of work done in a single workout and the variety of exercises that are included, shows how high quality the trainers are here. No mater what level you are at, you are always welcomed. Such a good vibe all round in this place. 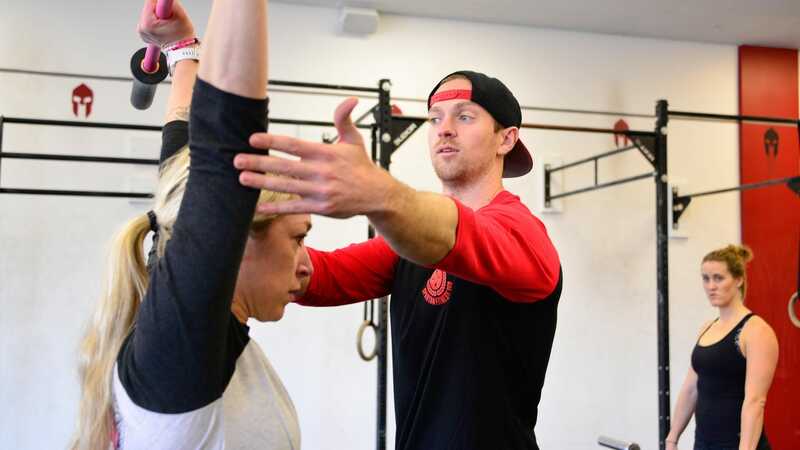 "Supportive, encouraging and involved are just a few of the words I would use to describe the coaches and environment I’ve experienced at Spartan Fitness. I just completed the 6 week challenge and couldn’t be happier with my results. From day 1, I was welcomed and met where I was in my fitness journey while still being encouraged to challenge myself. The overall experience positively affected my life well beyond just improving my health and goals for the challenge. You’ll never go broke investing in yourself!!!" "The challenge is awesome!!! It is not easy and requires you to dedicate yourself to reaching your goals. For me the results were incredible! I lost thirty pounds in six weeks!! I feel great and I am going to continue to challenge myself." "I joined the fitness challenge not knowing a single person. I was welcomed by the incredible coaches and encouraged by the gym members. I have finished the challenge and am staying on with Spartan because my journey has just begun. If you have the opportunity to join this incredible group of people....DO IT, you will NEVER regret it." "I couldn’t be happier with Spartan 360 and the coaching staff. I began in January 2018 and have met many goals I never expected to. Staff is extremely welcoming and knowledgeable. I honestly feel comfortable and supported by fellow Spartans and coaching staff alike! Thanks for the continued support and enthusiasm!" "This gym, this community, this family environment was great. I've moved away and miss going but I learned A LOT while I was there and will continue to develop. They provided a great foundation for me and I am appreciative. Keep up the great work!"